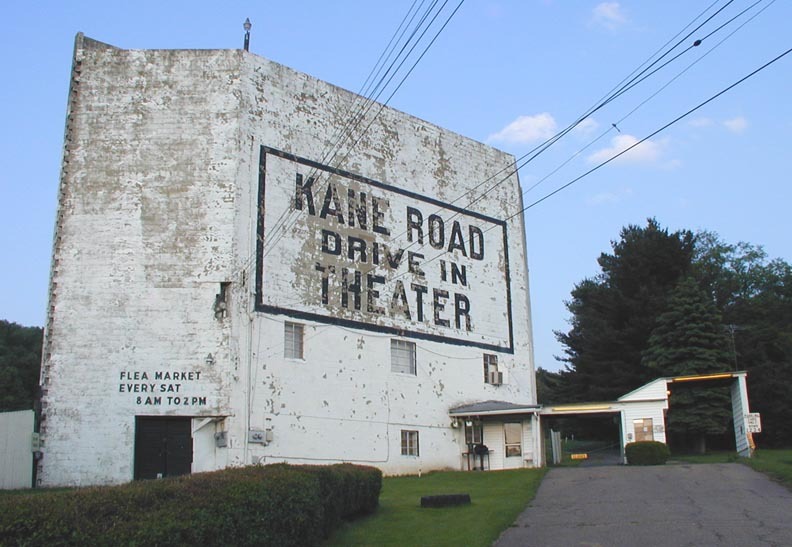 The Kane Road Drive-in opened in 1954. The screen tower had office space within it (note the windows). 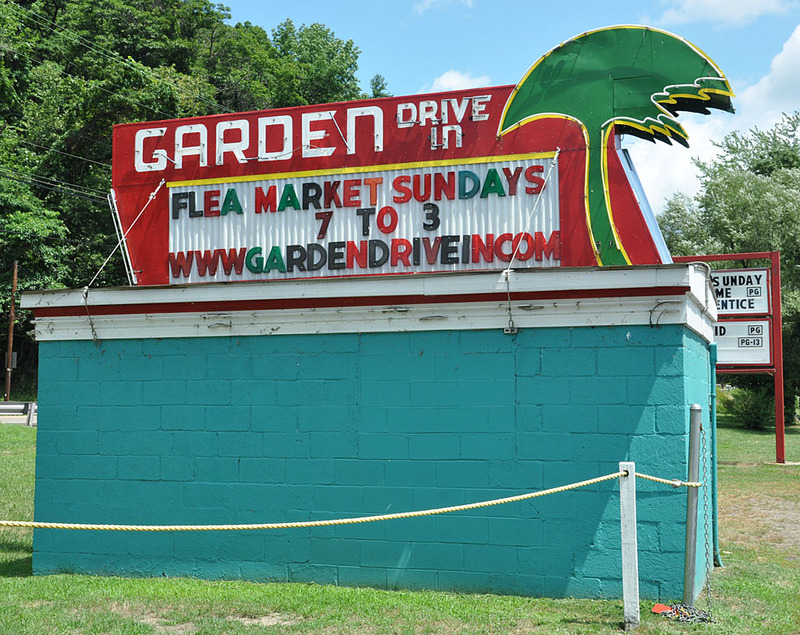 This single-location had a playground and also doubled as a flea market. In 2012, the property was put up for sale. 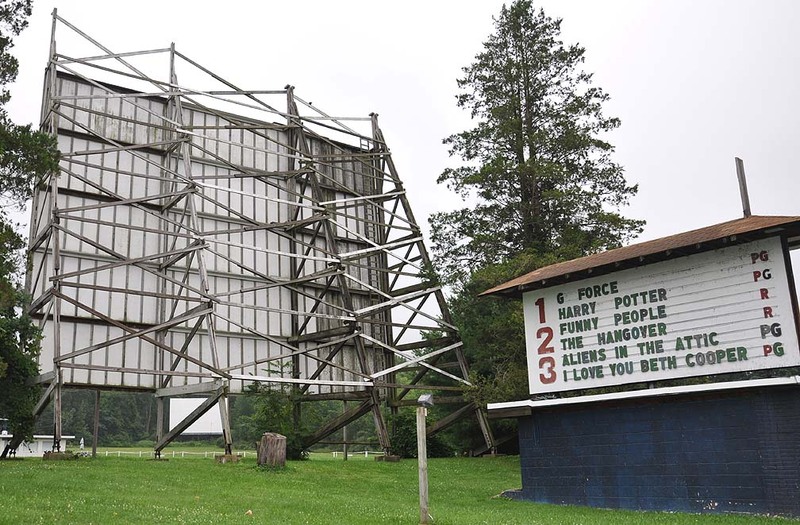 The drive-in closed in 2013. The screen tower was demolished in 2015. For more, see this website. 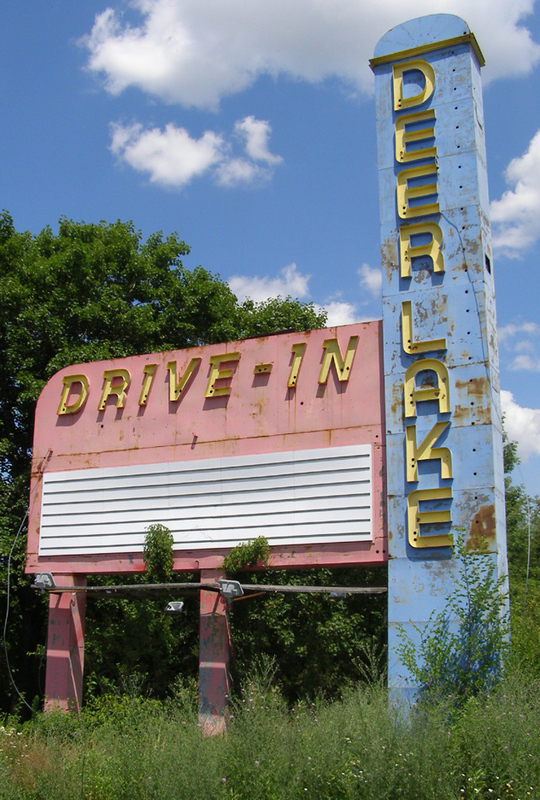 The Deer Lake Drive-in was built in the 1950s and has been closed since 1996. In 2005, it was announced that the 61-acre site would become residential housing. 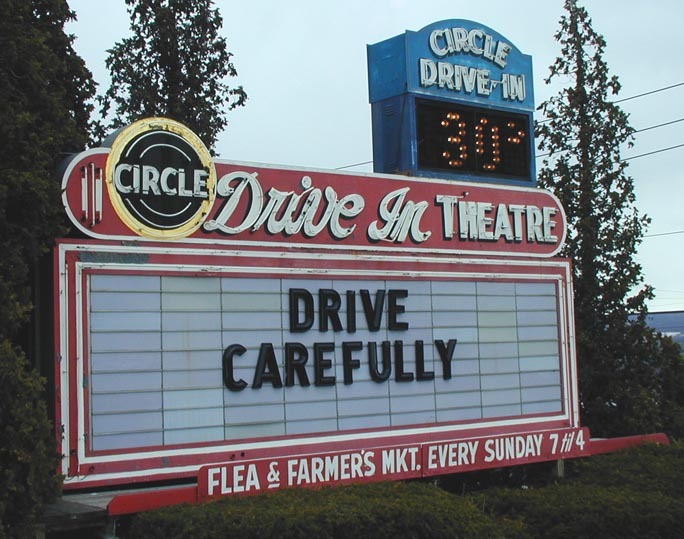 The sign was put up for sale at eBay but it was still there in 2007. 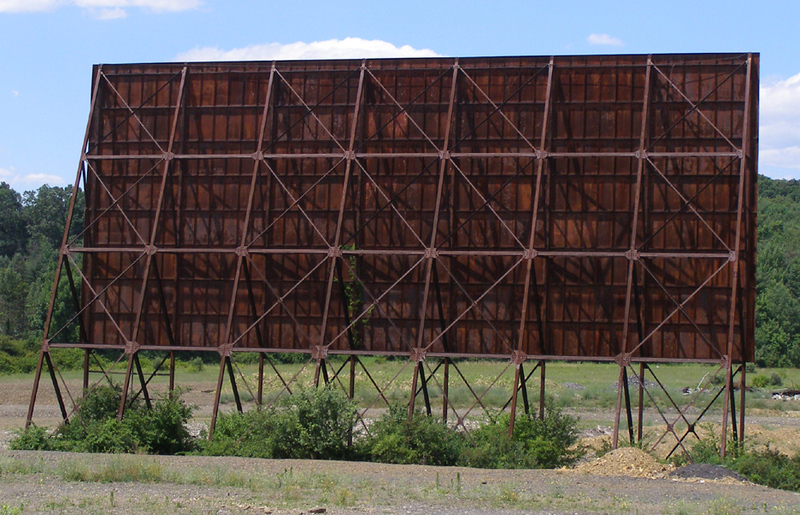 By 2008, the screen and sign were gone. 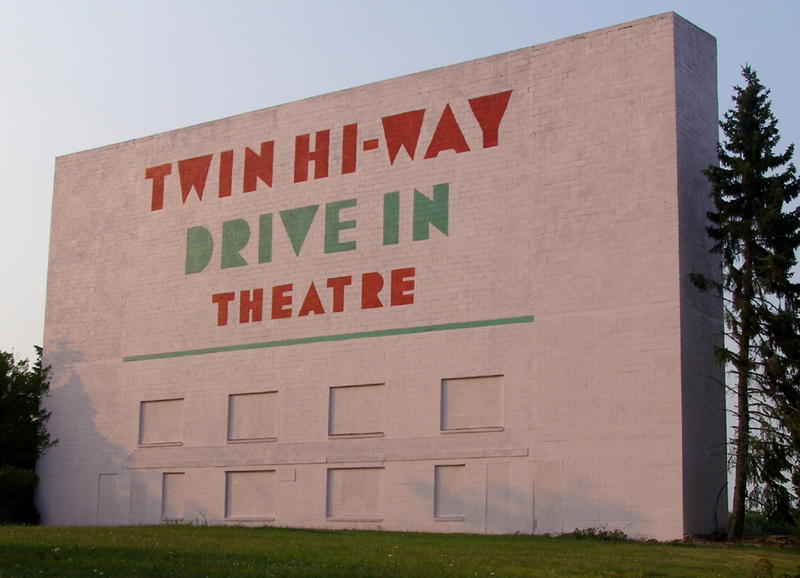 The Hi-Way Drive-in opened in 1948. This photo is from 2010. 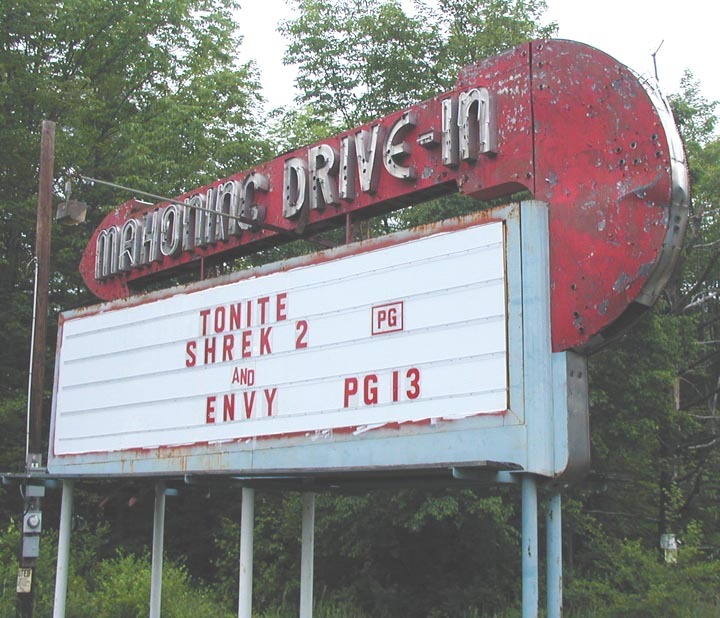 In 2011, the drive-in closed. 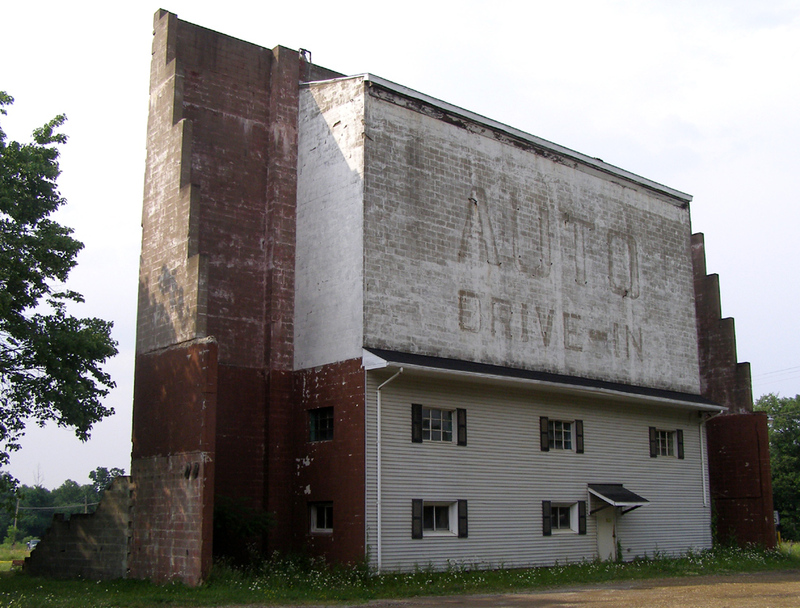 By 2013, the sign was gone and a CVS drug store had been built on the property. For more, see this website. 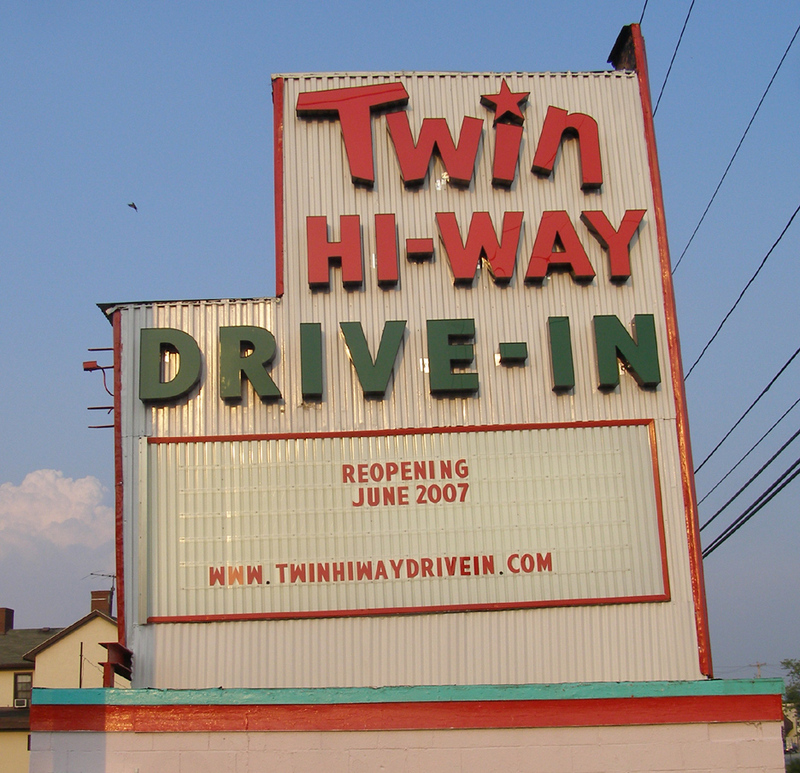 The Twin Hi-Way Drive-in opened in 1950 and closed in 1994. It reopened in 2007. 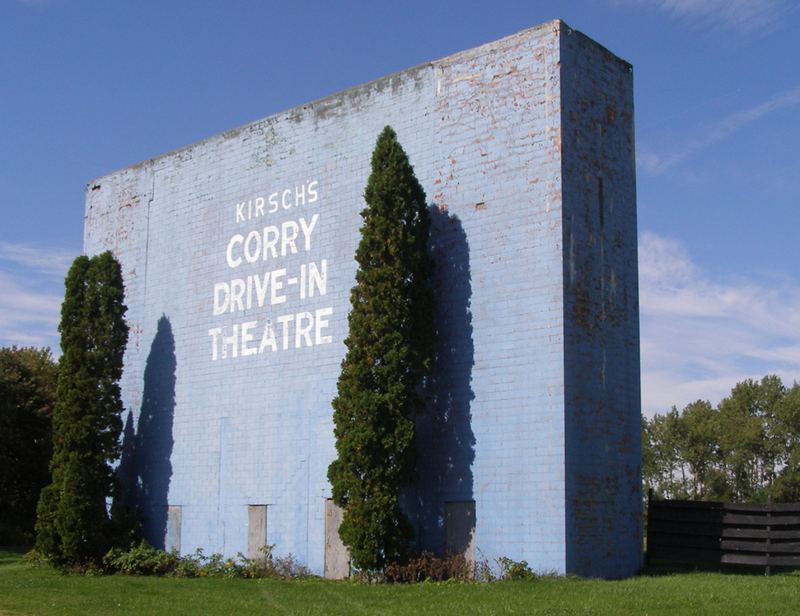 In 2015, the drive-in closed. 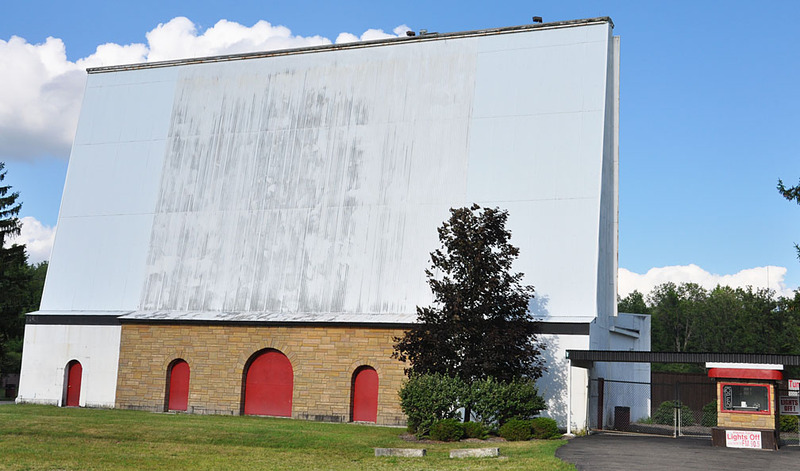 In 2017, the screen and sign were gone. For more, see these websites: 1 and 2.